DJI finally reached the 30-minute mark! Many of you were complaining at DJI’s models for being able to fly for “only” 27 minutes on a single battery charge. While this is still among the best airtimes as far as commercially available drones are concerned, consumers always want more… and now, finally, DJI is able to provide. DJI Mavic Pro has received 2 incremental improvements, one touching its noise and the other one touching its power efficiency… in other words – airtime. The latter is much more interesting to us, of course… but we will go through both changes to see if DJI struck gold this time around. The first change is the introduction of new propellers. They are more ergonomic and provide with better airflow, allowing a quieter experience. If we are to be more precise, the exact noise decrease goes up to 4dB which is roughly a 60% decrease in the grand scale of things. The second change is due to the optimization of ESCs (electronic speed controllers) which are now much more power efficient. This, of course, leads to the above-mentioned increase in flight time. So, from old 27 minutes, DJI Mavic Pro Platinum has approximately 30 minutes, which is a well-placed improvement if I’ve ever seen one! Finally, while you can order the new propellers separately and get less noise on your original Mavic Pro (yes, backwards compatibility works like a charm)… you cannot buy the optimized ESCs. So, in other words, if you really want those 3 extra minutes of flight time on your Mavic Pro, then I am afraid you will have to pay the full price for it… and at the moment, it goes $100 on top of the original price tag. Is it worth it? I’ll let you be the judge of that! I’m not talking about a certain body part here… Nope! Instead, I am talking about another announcement by DJI at this year’s IFA show in Berlin. After checking out those DJI Mavic Pro improvements, it is time to feast your eyes on the all new DJI Phantom 4 Pro Black Edition. As far as I could see, we are talking about the exact same drone just like the original P4 Pro… but black! 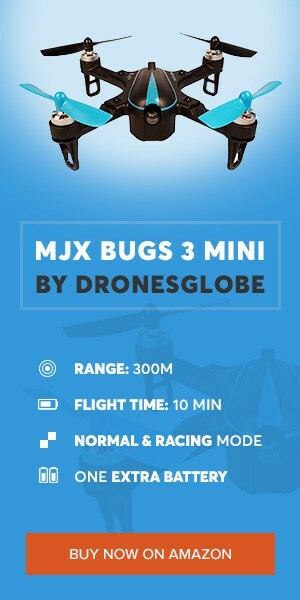 There is already a page about it on official DJI website. It costs the same as original version, but unfortunately it is not available for sale just yet. When it comes to the actual design and aesthetics, I have to admit the P4 Pro Black Edition looks better than I expected. They actually market it as Obsidian color, but in fact it’s just plain old matte black that looks mazing on, what we are used to see, an all-white model. Now, not only the drone itself is black but all of its accessories as well. This includes the propellers and even the controller. First of all, we don’t know when will DJI Mavic Pro nor Phantom 4 Pro Black Edition come out. Second of all, once it comes out, there’s still a big question left out there in the open… and that’s – will current owners of DJI Mavic Pro pay the extra for upgrading, or will Mavic Pro Platinum just serve as a sweet incentive to new potential buyers? I guess we’ll have to wait and see once the release date gets set.